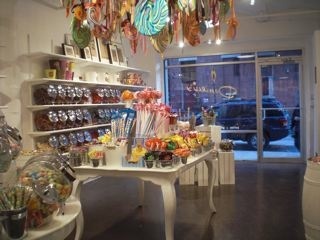 When did I become the type of person that travels to another borough because she heard a new candy store opened up? I have no explanation, but that's just what we did yesterday after seeing wonderful pictures of this fantastic new sweetopia in Dumbo, Dewey's Candy. I don't know why. 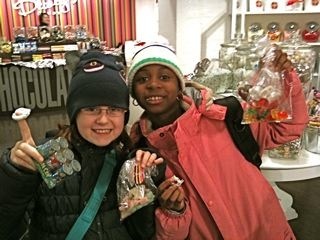 I'm not generally a candy pusher, but I love to take a gaggle of kids to a cool candy store and watch how excited they get. It only costs a couple of bucks to have some very happy children. And look at this place! Who could resist it? 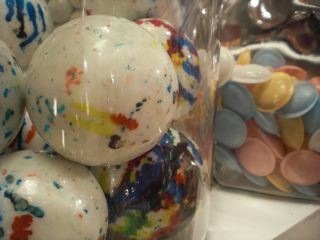 Dewey's Candy is what you would get if Martha Stewart owned Economy Candy. It has everything from your favorite nostalgic sweets to newfangled novelty treats all displayed so beautifully your teeth might fall out just from looking at them. 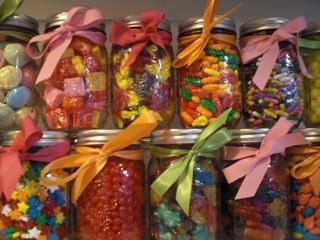 The store is lined with canisters filled with every imaginable confection, which can be all be bought for $10.99/lb, meaning you can mix and match to your heart's content. 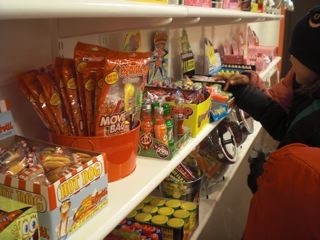 Other candies like these baseball-sized jawbreakers, English candy bars, and novelties are various prices. Owner, Alison "Dewey" Oblonsky, says that birthday party packages are still in the works, as is her website. 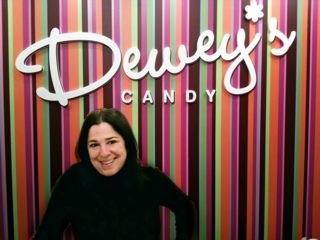 Is Dewey's Candy worth the trip? On this one the kids and I agree, a sugary sweet mouthful of "Yes!"